5,000 years is quite a respectable age. Maybe not for stone, but for organic matter 5,000 years is generally considered as mighty impressive. On this point you can probably agree that finding a wooden wheel from 5,200 years ago is simply spectacular. And it happened. In the Ljubljana Marshes, some 20 km south of Ljubljana, a wooden wheel was excavated in 2002 with a hole for an axle, plus the axle itself! 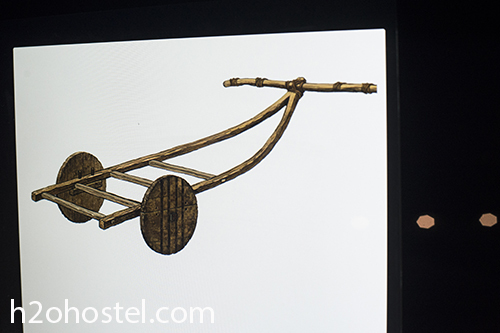 Pretty well preserved, it belonged to a prehistoric two-wheeled cart – a pushcart. Radiocarbon dating, performed in the VERA laboratory (Vienna Environmental Research Accelerator) in Vienna, showed that it is approximately 5,150 years-old, which makes it the oldest wooden wheel ever discovered. It has a diameter of 72 centimeters (28 in) and is made of ash wood, whereas its 124 centimeter (49 in) long axle is made of oak. 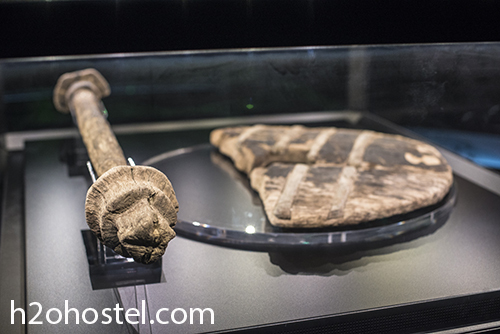 The Wheel is exhibited in the City Museum of Ljubljana at the exhibition “THE WHEEL – 5,200 years” until April 20, 2014. 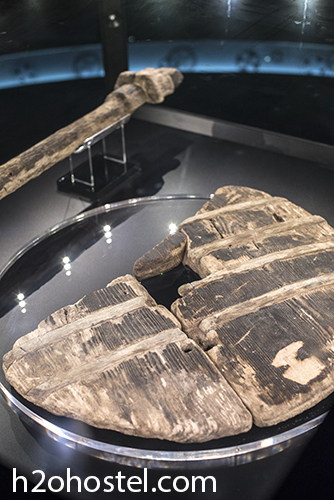 Along with the wheel and its axle there is also a presentation of its origin in time and space, from the pile dwelling culture in the Ljubljana Marshes where it was found. The exhibition is open at the City Museum of Ljubljana from 24 May 2013 to 20 April 2014, Tuesday-Sunday 10:00-18:00 and Thursday till 21:00; it will then be showcased in several European cities. This entry was posted in Events, H2ostel Blog, Ljubljana and tagged 5200, Wheel, Wooden wheel. Bookmark the permalink.